Rick's Pocono Blog: Pocono Homes For The Hunters! Another niche for Pocono Mountain Home Buyers is the Abundance of Gamelands and Wild life That Surround almost every square inch of the Poconos. You can't drive anywhere through the Beautiful Pocono Mountains without stumbling upon a Breath Taking Mountainside, View of Never Ending Mountains, or a Lake full of Fish. PA State Gamelands are all over the Poconos making Our Area a Hunters Paradise! 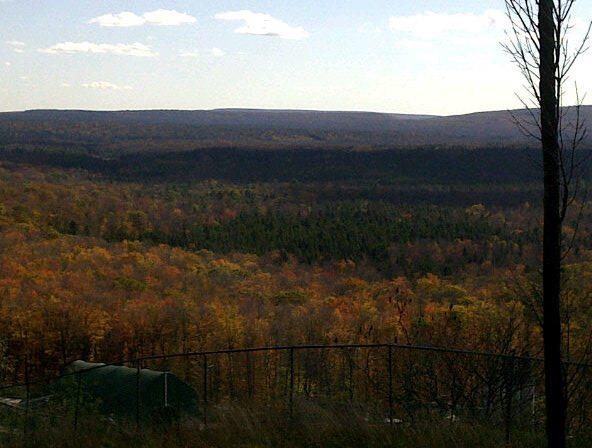 A Great Pocono Mountain Home Purchase is that Elusive Pa Gameland Bordering Property. The entire Pocono Mountain Region includes a vast range of different Pa Gamelands or Pa State Forests, some of which have homes bordering them or backing right up to them! Even many of the Perfect Pocono Mountain Communities themselves back right up to Gamelands! Arrowhead Lakes- A Beautiful Community that Borders Bradys Lake State Gamelands. Arrowhead has its very own entrance into these Gamelands full of life. Bradys Lake is a Pristine 21,000 Acre span of Gamelands complete with its very own Lake as well! Pocono Spring Estates - This Community is known for its 133 Acre Crystal Lake, but it is no stranger to the Gamelands. This Community has 4,000 Properties and it is very green. Many Homes in the Community back right up to the Gamelands. Pocono Gamelands out your backdoor! Thornhurst Country Club Estates - Thornhurst is a tiny town right outside of Pocono Lake and is a 5 minute drive to Arrowhead Lakes. Thornhurst has the most outlets to Gamelands then any other community. It is the most Exclusive place in the Poconos For Hunters. Being completely surrounded by Pa Gamelands, it is a Small Forest Town in the Mountains! Truly a Hunters Paradise. In the Poconos you can expect to see Gamelands, Forests, Lakes, Rivers, and Wildlife at any turn you make. The Pocono Mountains is Truly a place of Earths Natural Habitat. Expect to see Whitetail Deer, Foxes, Wild Turkeys, Racoons, Black Bear, Turtles, Owls, Red Tail Hawks, Rabbits, or maybe even a Bald Eagle!